How magnificent a tall magnolia tree is in full bloom, laden with their gorgeous large white flowers against the shiny green leaves. 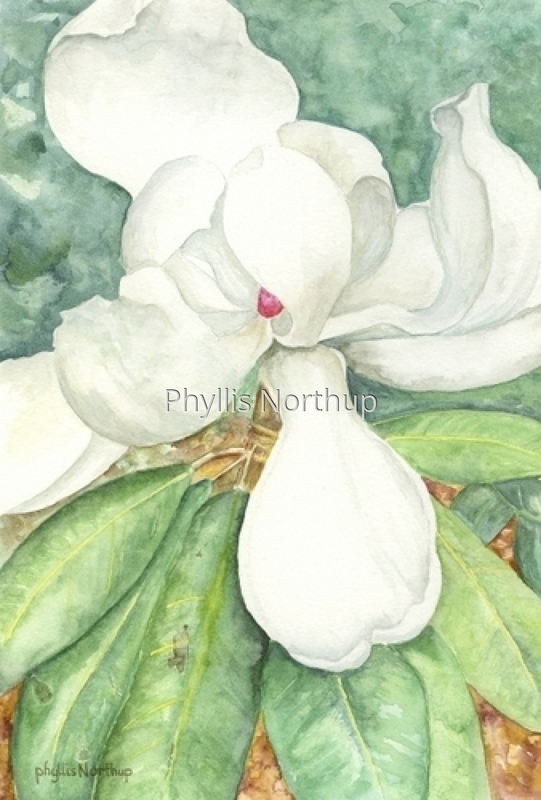 Giclee print from an original watercolor. Original available framed at Glen Manor Vineyard in Front Royal, VA.